It's a smooth Hermoso No.4. This cigar is a classic example of how a Cuban cigars changes with time. Initially, this Robusto smokes very mildly, giving off gentle tobacco flavors only. 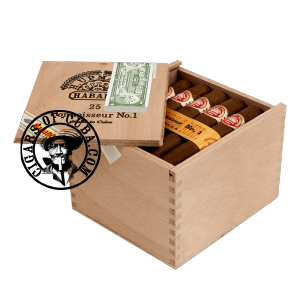 With time though, this cigar's blend blossoms into life and produces a smoke that is complex. Slide lid box presentation gives you a nice rounded cigar. Flavors of hay and spice mix exquisitely in a perfectly balanced smoke. Power will be present in the final phase of this cigar, but never too much.